it is one of my favorite whipped creams. the flavor is great and the texture a little denser. i use store bought ultra pasteurized whipping cream which is commonly lower in butterfat than ideal and makes a whipped cream that is pretty much too airy and not very tasty. 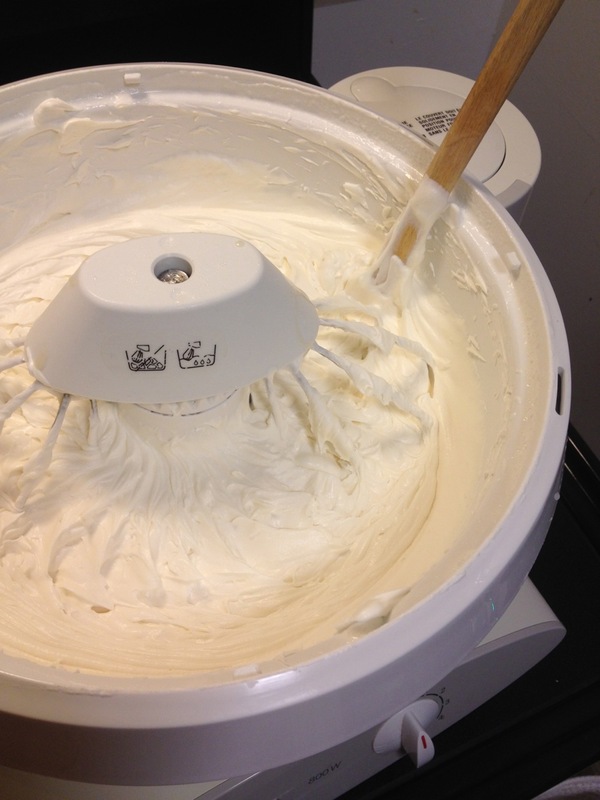 using gelatin to make the whipped cream creates less volume and more body! it is a dream to work with. doesn’t water down easily and pipes like a dream. 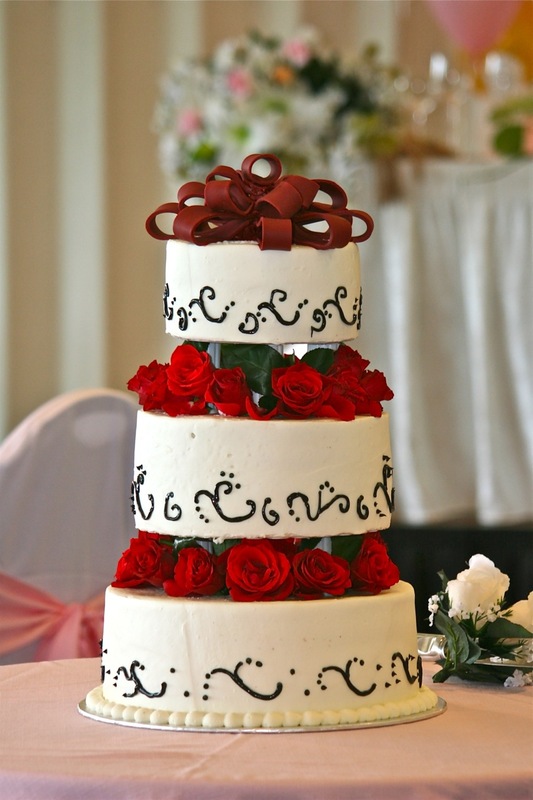 the completed cake must be stored refrigerated, but be sure to allow the cake to be displayed at room temperature for 2-6 hours prior cutting. these logistics makes it ideal for weddings! if you eat the cake straight from the fridge, the whipped cream will be hard like jello! so don’t do it. 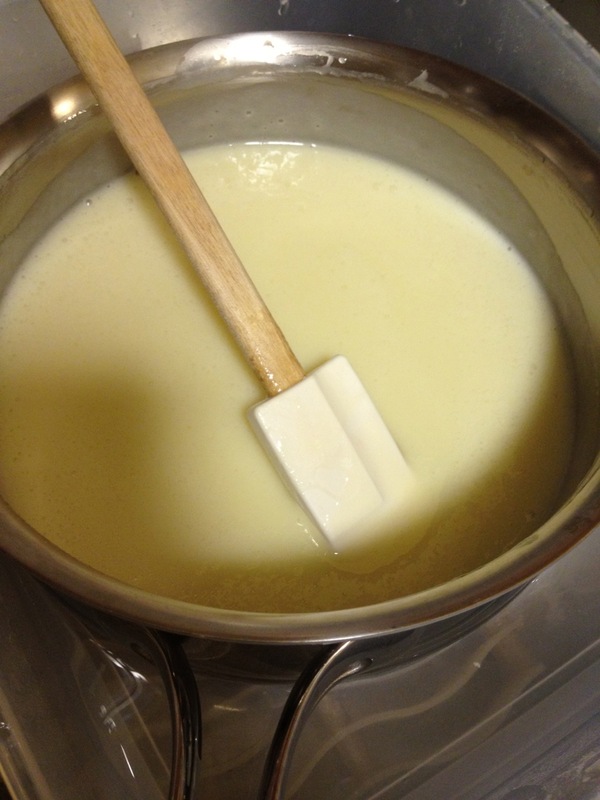 1- set aside 1/4 of the whipping cream. whip the rest till very soft peaks. i like to do this one or two days ahead and keep it in the refrigerator. in my opinion, resting softly whipped cream in the refrigerator, makes whipped cream more stable! 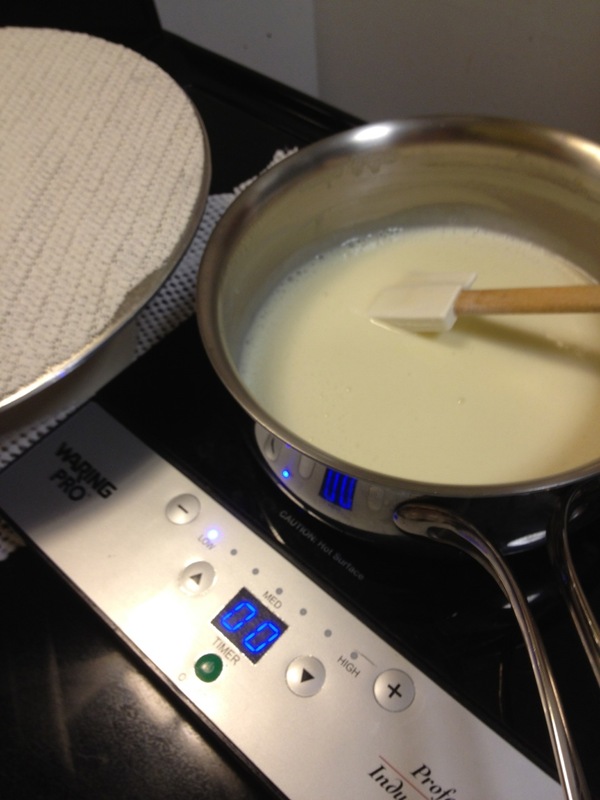 also, if i do this, when i start whipping the cream, the mixer bowl and the whisk are NOT chilled. my thinking is that slowly whipped cream that isn’t too cold emulsifies better! 2- the 1/4 that you set aside is heated with gelatin and sugar. 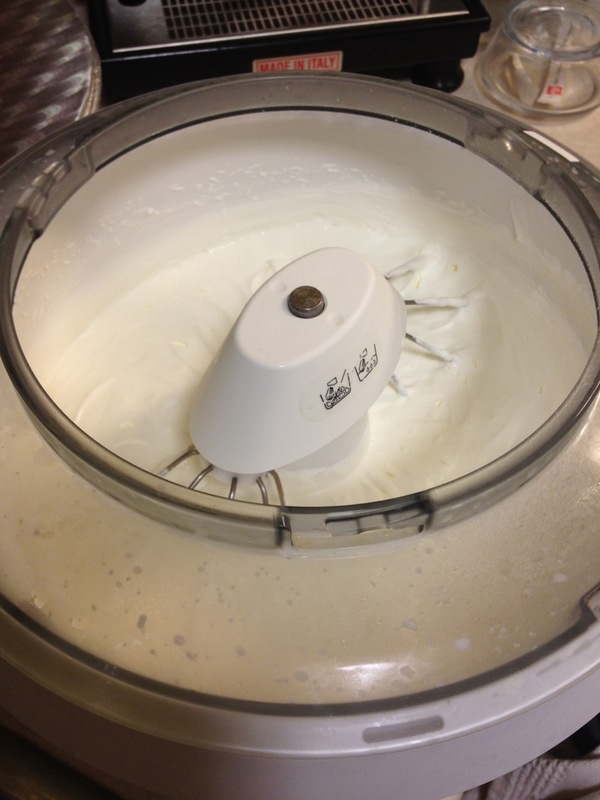 4- now, continue to whip the pre-whipped cream, adding the gelatin mix. look a the end product! 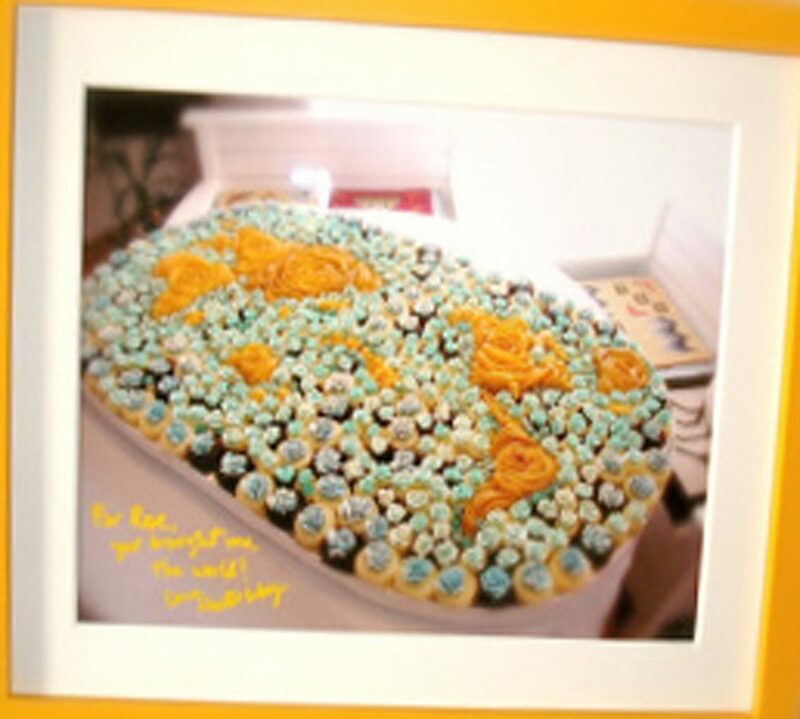 hi, i bake ‘wilton’ cakes also. I want to know why is everything that tastes so good is not good for you. Just wondering!!!! everything is good for you, it is how much of it you eat, that is not good. it is the portion size that needs to be the right size.